PLAN-LES-OUATES, GENEVA – JUNE 18, 2009 – If you are going to spend six adventurous months on ‘paradise island’ with diving and swimming as your daily activities, and if your tools need to be highly functional, ultra-resistant and extremely durable, what would you bring? The Alpina Extreme Diver 1000 Meters watch, tailor-made for this modern-day Robinson Crusoe, sounds like the perfect choice…. Ben Southall, a 34 year old Brit is a real-life Robinson Crusoe, recently appointed Island Caretaker of Australia’s Hamilton Island for a six-month period -also known as ‘The Best Job in the World’. The organization ‘Tourism Queensland’ launched the idea to promote the Great Barrier Reef by offering a prize that money cannot buy -the chance to ‘work’ on the island for six months, starting July 1st, 2009. After reviewing 36,648(!) applicants from 201 countries, 610 hours of video and 450,000+ votes, Ben was selected. The ‘discerning’ job description requires him to ‘explore the islands of the Great Barrier Reef, swim, scuba-dive, make friends with the locals and generally enjoy the tropical Queensland climate and lifestyle’. Part of his responsibilities consists of being the International Ambassador for Queensland. In thoroughly modern fashion, Ben is expected to report back to Tourism Queensland -and the world- regularly via his weblog, a photo diary, video updates and interviews. Ben is a hardworking and gregarious individual who enjoys setting goals and reaching targets that most people find impossible to comprehend, let alone achieve. He has spent the last ten years traveling extensively throughout Africa, working as an Events Manager and organizing an annual music festival for charity. In his spare time, Ben keeps fit through trekking, swimming, running, climbing and preparing for his next challenge, which is never far away. For more information, please check out his website http://afritrexben.blogspot.com. Ben explains one such event, ‘The Afritrex charity endurance challenge (in 2008) consisted of ten physical challenges which I set myself, to complete five marathons and climb five of Africa’s highest mountains, spaced out over a period of a year across the African continent’. 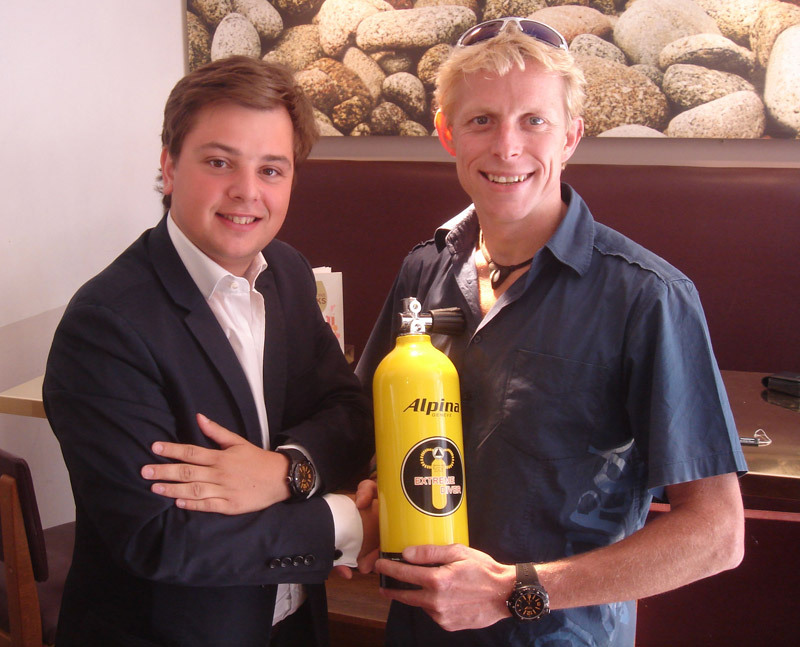 Swiss Watch Manufacturer Alpina Genève is delighted to become part of this exciting adventure by offering Ben a brand-new Alpina ‘Extreme Diver 1000 Meters’ watch. Supposedly, this is the perfect wrist instrument during the execution of his duties and timely investigation of the Great Barrier Reef islands. 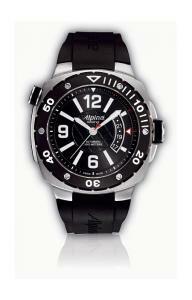 Alpina Genève is an independent, family-owned watch manufacturer based in Plan-les-Ouates, Geneva. Founded in 1883, Alpina is synonymous with sports and lifestyle and creates bold, functional and highly contemporary wristwatches that fit a variety of athletes and athletic performances. From design to final assembly, everything is done in-house at the Alpina Manufacture. Each watch is assembled by hand and extensively controlled with state-of-the-art equipment, in order to ensure maximum accuracy, quality and durability.